This film ranked #8 in Time Out's list of the 100 greatest French films. Click here to see the full list. Some filmmakers have a lifetime in which to develop their art, to explore their themes, to express their world view. Others do it in a single film. 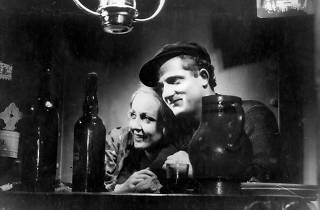 1934’s ‘L’Atalante’ is the single feature from the then 29-year-old French master Jean Vigo and was made as its director died of TB. The result is not so much a film as an entire artistic vision crammed into 89 of the busiest and most beautiful minutes of celluloid ever shot. 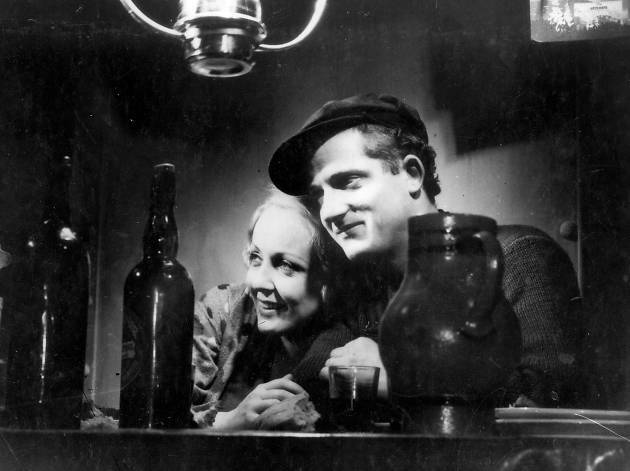 Dita Parlo plays Juliette, the smalltown girl married off to Jean (Jean Dasté, captain of L’Atalante, a grubby barge plying the waterways of rural France. Once on board, Juliette is caught between her uncertain love for Jean and her desire to see a world beyond the restrictive confines of the boat. The situation is complicated by the constant interruptions of Jean’s beloved but irascible first mate, salty sea-dog Pére Jules (Michel Simon). It’s a traditional set-up, and the film was intended by its producers as a straight romantic melodrama. But Vigo had other ideas: as his life slipped away, he stuffed the film with reference and resonance, fusing groundbreaking visual trickery with an almost tangible sense of ecstatic romance, startling eroticism and unexpected moments of harsh social truth. The film is far from flawless, and has no desire to be: Simon’s performance alone ensures a ragged, playful sense of spontaneity. The result is something utterly indescribable, partway between comedy and tragedy, romance and realism, film and dream. See it and swoon.